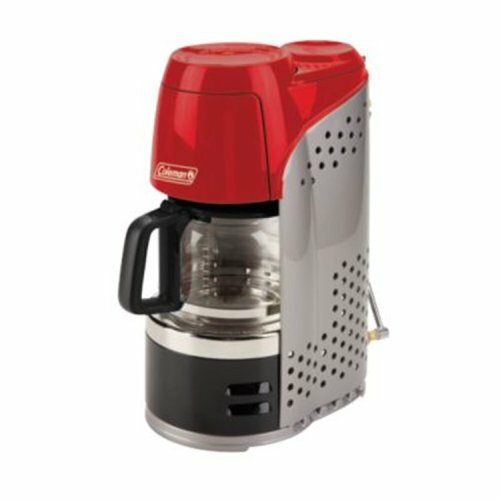 Coleman Propane Coffeemaker - Moar Stuff - You don't need it but you know you want it. 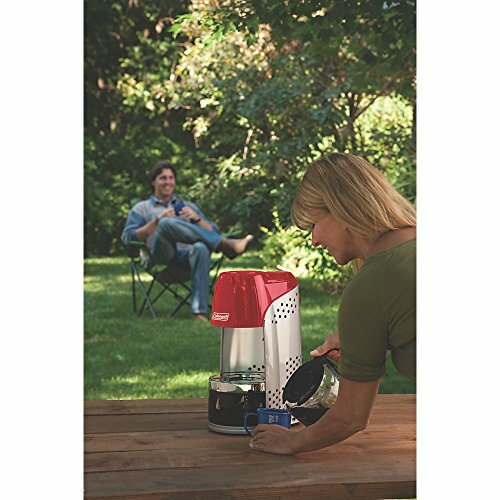 The Coleman Portable Propane Coffeemaker delivers a quick and easy cup of coffee while camping, tailgating, or BBQing. It uses propane so there’s no need for a stove, cords or percolator. In just 15 minutes, you can have a piping hot cup of coffee practically anywhere. It offers several features such as matchless lighting, a 10-cup covered water reservoir, and removable filter basket. 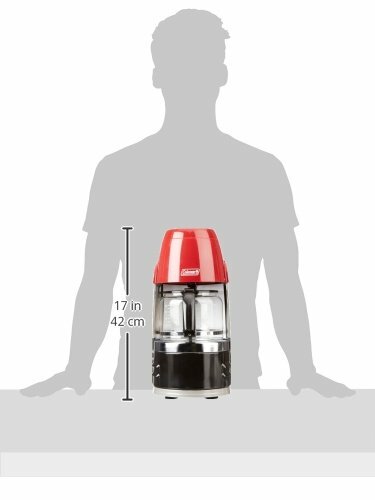 It has a durable, drip-resistant carafe and easy-access regulator connection with storage clips for when it’s not in use. Since the filter basket and carafe are both dishwasher-safe cleanup is quick and easy. The Coffeemaker is built to be easily portable and even packable, so it’s convenient to bring along just about anywhere. Sure, when you go camping, you could use a percolator on the fire but, what about tailgating or camping where you’re not allowed to have a fire? Personally, I keep mine in the boat so I can have a fresh and hot cup of coffee when I’m out there before the break of dawn trying to catch a trophy bass. I still won’t catch one but, at least, I’ll be awake. Product Dimensions: 13.3 x 17.1 x 8.9 inches. 4,500 total BTUs of cooking power. Lasts up to 4.5 hours on high on one 16.4-oz. propane cylinder.